I just wanted to let you know that I haven’t forgotten you; over the past two weeks, we have been moving from our rental house to our old house that never sold – and we are VERY happy to have been doing so! As soon as we get settled ( and we’re getting close to that now) and I get my new schedule ironed out, I will be back posting regularly. In the meantime, I have at least one funny story to share from the move. 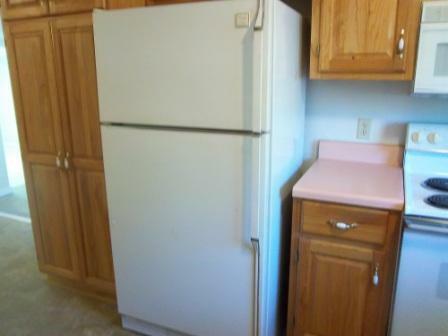 One of Kayla’s jobs before the movers came was to clean out the rental house’s refrigerator and freezer. When she was given the task, she disappeared and then reappeared in about five minutes, informing us that she was done. Both Mark and I knew that there was no way she could have cleaned the fridge and freezer that quickly, so we sent her back to do the job right, much to her chagrin. In doing so, I specifically asked her if she had gotten the ice cream out of the fridge – someone had put softened ice cream back in the freezer at some point, and it had dripped onto the freezer bottom. She admitted she hadn’t. When we kicked her back into play the second time, she was gone for a little while longer, but again returned, announcing she was done. We went on to the next task. By the end of the day, we had accumulated several garbage bags worth of trash, so Mark and I put them into the dumpster. I noticed that two of the bags were very heavy. 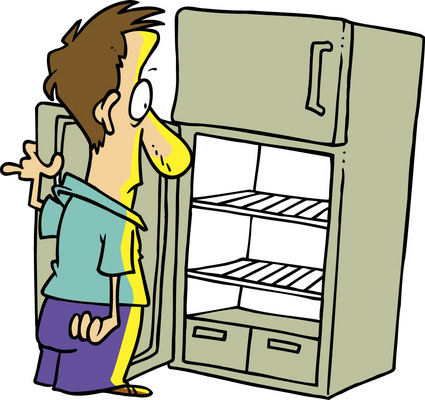 When I opened the refrigerator and freezer that night, I was stunned – not one shelf had been wiped off, and the ice cream drip was still on the freezer floor. 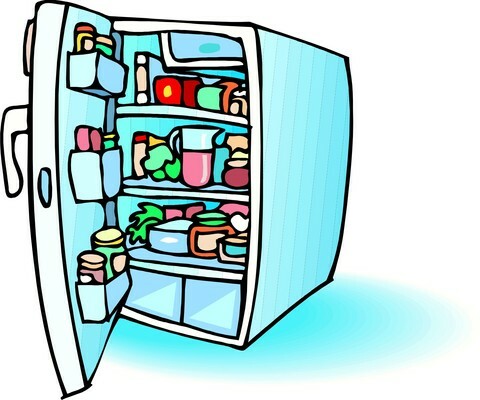 However, there was not one single item left in either the refrigerator or freezer – besides the residues that needed to be wiped off, the fridge and freezer were empty! After Mark and I called Kayla back into the kitchen for the third time to clean the fridge and freezer, we retired into another room where we could laugh without seeing us. She certainly had cleaned OUT the fridge and freezer, but not in the way we meant! The good news is that nothing in my fridge and freezer now is out of date. This entry was posted in Child's Play, Just stuff..., On the Home Front, working mom and tagged cleaning freezer, cleaning refrigerator, daughter, food, freezer, fridge, humor, kids, parenting, refrigerator. Bookmark the permalink. LOL I know it’s not funny when it comes to replacing it, but it’s a cute story, one I’m sure she’ll never hear the end of! We did manage to save the meats, having already taken them down to the new house’s refrigerator the day before, so it wasn’t nearly as expensive as it could have been! I’m still having a hard time getting used to not having on hand the three or four different kinds of salad dressing I had in the refrigerator before the move! Thanks for stopping by!